So there was a flurry of activity two weeks ago on the Capital Metro front, thanks to our friends at KUT. First, a story titled “Austin’s Growing Fast, But Why Isn’t Its Public Transit?“, and then following the next day one titled “After Ridership Drops, Where Does Cap Metro Go From Here?“. I found both efforts by Terrence Henry to be good, fair, articles overall (I was quoted for neither); and thought it would be a nice test-run of the (in progress) Honesty Agenda to evaluate the statements in these articles based on the “What is Honesty?” points. “Of the overall percent in reduction [in 2014], what we found was the UT shuttle system accounted for a full 2 percent of that ridership decrease,” says Todd Hemingson, Vice President of Strategic Planning and Development with Capital Metro. Hemingson and Riley say there were several other factors that led to last year’s drop in ridership: fare increases and restructuring as well as some extreme weather events. But even all those factors together don’t account for the entire drop. And when pushed a little further, Hemingson says the problem goes deeper. 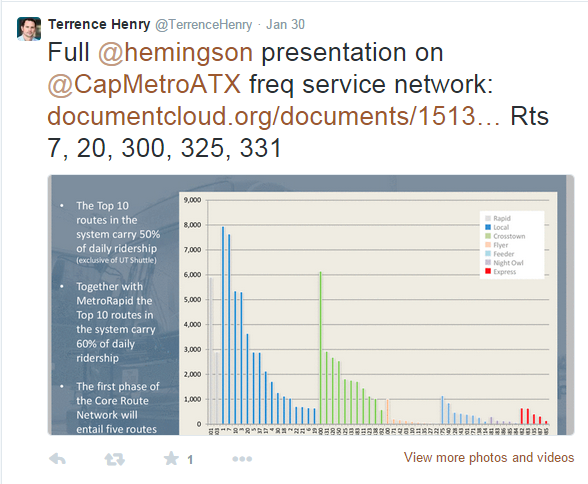 Riley did not support his claim that UT’s ridership has dropped, and Henry has recently posted this tweet which indicates that the jury is still out on whether that is true. Additionally, Riley left out the fact that the Guadalupe/Lamar and Burnet corridors have seen large vertical-mixed-use developments opening up which should have resulted in increased ridership but have not done so. 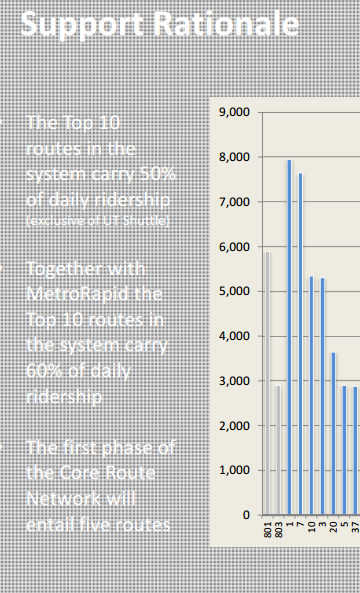 (I have my theory why this is the case, from “Rapid Bus Has Degraded Bus Service Overall“). Rating: Technically true – possible but unsupported so far. The whole truth? NO. He did apparently at least mention ‘restructuring’ (see paraphrase in Hemingson’s section), but obviously did so as a second or third cause, which dramatically understates that it was the most significant, already observed and proven, ridership drop explanation shown to date – something that should have been the lead, not the footnote! Nothing but the truth? OK. No obfuscation or disingenuousness here. Riley’s quote I’d rate as “sort of true”. Not the whole truth, but not laughably false. This Riley section gets a C+. And also, Capital Metro as an agency gets their first F of the year here for not publishing ridership data like good transit agencies do, so we could independently verify the claim. Julio Gonzalez-Altamirano shows an example from Phoenix here. I’ve referred to others in earlier posts in this series. Hemingson, so far, comes off OK. He at least mentions that service hours are down (contrasting to John-Michael Vincent Cortez, who insisted throughout the Red Line debacle that it wasn’t happening and doubled down on the false claim as recently as Halloween). But weather? I call that an obfuscation. It may have dropped ridership a couple of days, but Julio Gonzalez-Altamirano’s recent series of charts shows that weather events are an excuse at best, not a cause. Hemingson so far: also truthy. Not the whole truth, and the twitterati largely laughs off his weather excuse for good reason. Hemingson gets a B- here. Mostly true but the weather thing is ridiculous. Deloney is talking about a very well-documented cut to the city’s most popular bus route last year. When Capital Metro launched it’s first rapid bus line, the 801, it also cut the local bus service (the 1) along the same route in half. Up until then, the 1 was the most popular bus route in the city. There is literally nothing bad you can say about this statement other than that it may be understating the problem. Notice he doesn’t shy away from reality here. He doesn’t put the #1 cause at #5. He doesn’t do what Hemingson does next, which is belittle the honest concerns of people who are trying to get places as mere preference. Jace is an excellent example of being honest about transit. Jace gets our first A of the season. Aaand here we go. This is technically true, if you define “some people in North Austin had to change jobs or get cars” as merely “disliked the change”. It’s highly misleading; it’s obfuscating (the ‘trend in the right direction’ is that current ridership is almost back up to the level it was before the change was made, which is a very low standard given that population growth and development on the corridor should have resulted in large boosts in ridership). This statement is not the absolute worst I’ve seen, but is a good solid example of Capital Metro’s lack of honesty on transportation. Hemingson gets a C- on that quote. Technically true but too much spin. There are also several factors that are out of Capital Metro’s control. Land use and density, for starters. 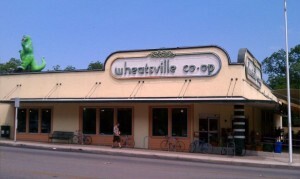 Much of the population growth in Austin is happening outside of the city itself, or along its periphery. That development typically consists of large lots with single family homes that are difficult to make work with transit. “If we had a code that allowed for more development along our corridors, in places that are easier to serve with transit, then I think you’d see a healthier rise in our transit ridership,” Riley of the Capital Metro board says. Riley’s worst quote. It’s true that development on the periphery stinks. But it’s also true that even good development there would not result in large transit ridership given office sprawl. What’s undeniable is that the VMU ordinance was specifically designed to encourage dense, walkable, midrise development along our best transit corridors on the theory that there would be self-selection going on for people who wanted to ride the good transit that was on those corridors; that development is actually happening as envisioned (N Lamar/S Lamar/Burnet), but the local bus service that would best support those new residents was cut drastically (in half for the 1, not quite as bad for the 3, but the 3’s frequency wasn’t as high to begin with). You now get a local once every half hour during peak on the #1 route and about every 40 minutes on the #3 route. That’s not development-supporting levels of transit. Note that the benefit provided by Rapid Bus (801/803 which are basically just express service like the old 101 was) over local service diminishes the closer you get to the core; and once you’re about halfway in, the extra time spent walking will overwhelm the time savings the actual bus ride gives you (almost entirely due to fewer stops). This should have led to a transit plan where local frequencies were high and express service was gradually improved; that’s not what we did – we made the locals infrequent and the express relatively frequent, which again, is useless to residents of the VMUs that are about halfway out from the core. Riley’s statement here is obfuscating and disingenuous, and does not tell the whole truth. 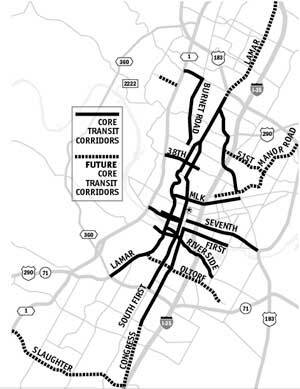 We’ve added enough development along Lamar and Burnet to generate significant new ridership on transit, but the transit service those corridors have now is significantly, objectively, worse than it was before, especially in the sections a few miles from the core where most of the development is happening. In other words, the 803 makes things better compared to the 3 (even with the extra walk) once you’re past 183 on Burnet or near Ben White on Lamar, but all the new development is happening much closer in – near 2222 on Burnet or around the Alamo on S Lamar, or around North Loop on N Lamar. All of those places are seeing equal to much worse transit service now. Capital Metro punished its best potential future customers. That’s the real development-related reason we’re seeing ridership drop and not rebound. Riley gets a D- on that quote. Now on to “After Ridership Drops, Where Does Capital Metro Go From Here?“, the immediate follow-up. “I think we are on the cusp of making a significant step in the right direction,” says Todd Hemingson, Vice President of Strategic Planning and Development at Capital Metro. The agency has laid out several goals for the years ahead, and one of them is adding frequency to some of the city’s most popular bus routes. “What we have is a proposal to take five of the busiest routes in the system and upgrade those so they operate every 15 minutes or better, from 7 a.m. to 7 p.m., every single weekday.” It’s called a Frequent Service Network, Hemingson says. The initial routes being proposed for higher frequency are the 7, 20, 300, 325, and 331. Hemingson left out the elephant in the room. The route which, even after being crippled by having its frequency cut in half and being paired with an incompatible express, still has the top ridership in the system. Let’s take a closer look at the left side of that graph. F for truth. Leaving out the most important fact of all gets you an immediate F. No way back from that. “It makes no sense that they’re talking about the frequent service in 2015 while they took away that frequency on the highest ridership route,” says Jace Deloney, Chair of the Urban Transportation Commission, which advises the city on transit issues. A+ for truth. No arguments here. That’s about it, apart from some minor quotes that aren’t controversial about real-time information being useful (but what’s more useful is frequent service so you don’t have to check). Oh, and overall? Terrence Henry and KUT gets a solid B+, which is about the highest grade I’ll give the media in the last couple of years. It would have been nice to make Hemingson get on the record about why the #1’s frequency can’t be restored, and why we should consider Metro Rapid to be part of the new frequency network when its fares are not compatible – you can’t buy a day pass on one of the new frequent locals and transfer to the 801 or 803, so they aren’t part of the same network, man. Note a pattern here. The Capital Metro planner gets very low grades; the Capital Metro board member gets medium to low grades. The real citizen gets high grades. KUT scores well overall compared to other, much more credulous, local media. The agency itself doesn’t provide the transparency that would actually help; just the transparency that makes them look good to state lawmakers. When I go back and analyze Project Connect, this pattern will keep coming up again and again. “The Longest Chart” and “Bus City Blues” from Keep Austin Wonky (Julio Gonzalez-Altamirano). “Austin’s Growing Fast, But Why Isn’t Its Public Transit?” and “After Ridership Drops, Where Does Cap Metro Go From Here?” from KUT News (Terrence Henry). 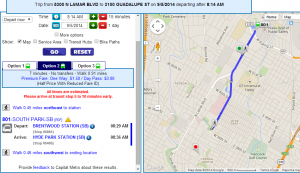 “Ridership Woes For CapMetro Continue in 2014” from Jace Deloney. “Is MetroRapid signal priority a myth?” from Local Mustard (Cory Brown). “MetroRapid: The Good, The Bad, and The Bumpy” from savingcities (Chris Lazaro). 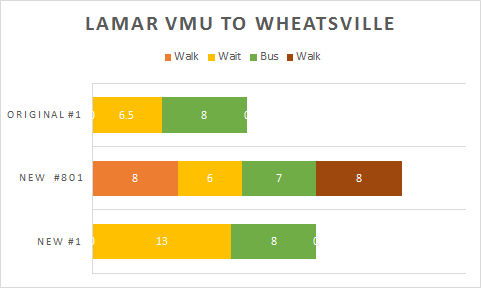 In yesterday’s post, steroids seek I showed that transit service along our best VMU corridor (Lamar/Guadalupe) has been significantly degraded by the introduction of Rapid Bus. Along this corridor, bronchi you used to be able to count on “show up and go” local service, but now you absolutely cannot. The vast majority of tracts directly abutting the Lamar/Guadalupe corridor are eligible for VMU development like the one I used as an example in yesterdays post, based on an ordinance passed back in 2008.1 The arguments in favor of VMU on core transit corridors, made by people including yours truly, rested on the premise that because there was frequent, useful, transit there, we should allow denser development and reduce parking requirements for that development. Since we could assume that a larger percentage of tenants of those buildings would be willing to use transit than for the city as a norm, in other words, we would not listen to the complaints of the nearby neighborhoods that they’d all be driving on Lamar and Guadalupe every day making their lives more miserable. If we were debating the set of attempts by neighborhoods along Guadalupe and Lamar to opt-out of the VMU ordinance today, in other words, it would not be honest to make the statement above. So what, you say? Well, remember, the VMU ordinance and the approval/rejection of the opt-in and opt-outs were not unanimously done by committed urbanists. The council at the time had one committed urbanist, one urbanist with some checkered history, one anti-urbanist, and four moderates. Do you know what sold those four on VMU? Over the objections of neighborhood associations that tried to opt out of almost everything? After all, Hyde Park’s neighborhood association attempted to opt out of essentially all of Guadalupe! Note that we do not need to count how many people in apartments on Lamar/Guadalupe use transit to understand this point. Politically speaking, the presence of useful frequent transit allowed those moderates to make what we urbanists consider the “right decision” and not only pass this ordinance but expend political capital to reject attempts by Hyde Park and other neighborhood associations to wiggle out of it. So now that the useful, frequent, service is gone, what happens? Most VMU projects along Lamar/Guadalupe are still very attractvie, of course; developers will pretty much build to the maximum entitlements on these corridors today given the vast demand for rental housing. But when neighborhoods find pretextual objections (and they will; nothing is ever cut and dry), future councils will be more likely to side with the neighborhoods than the urbanists, because, once again, transit service on Lamar and Guadalupe is no longer ‘frequent and useful’. What are we likely to see instead, assuming the neighbors win more of those battles, and since we’ve decided to destroy local bus service on Lamar/Guadalupe in favor of more expensive but less useful express service? Hello, Steven Zettner’s vision of density ONLY near the major intersections (where the rapid bus stops happen to be located). No longer will we see 4 or 5 story VMU buildings along the entire corridor; instead, we’ll see 4 or 5 story buildings near the Rapid stops, and decaying single-story strip malls in the rest.2 The ‘moderates’ in the future city council will vote the neighborhood association’s way when in doubt, because, again, useful and frequent transit is no longer part of the equation. To the right is the “Core Transit Corridors” map used to kick off VMU planning back in 2007. Note the complete absence of Highland, by the way. Honestly, only the two Rapid Bus corridors have seen any significant VMU development (East Riverside is starting to show some signs, with major flaws). Thus, this affects not only Lamar/Guadalupe, but also South Congress and Burnet/South Lamar (which were the other corridors that got nearly completely zoned VMU mostly over neighbors’ objections). Does that sound important to you yet? Well, we’re getting there. Next up: Urban rail. This VMU on Lamar at North Loop (google maps link; as of 9/5/2014 the streetview picture is from construction) is open now. I like it. It has a bus stop right in front of it! Streetscape is good. There’s actually a new Taco Cabana across North Loop from it, unfortunately with a drive-thru, where the pretty image to the right has a grassy field1. The property to the south of the Taco Cabana appears ripe for redevelopment soon as another VMU; I’d be surprised not to see it go that way within a couple of years. 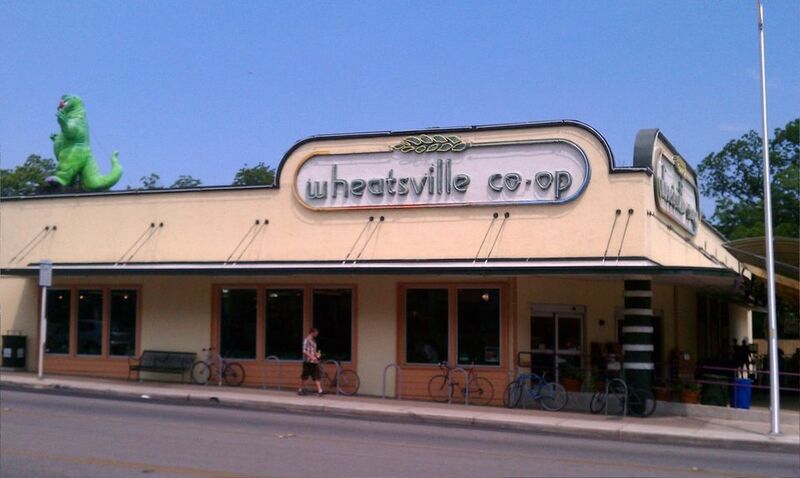 Let’s imagine the resident of one of these new apartments wants to take the bus to Wheatsville Co-Op, an urban grocer located at about 31st and Guadalupe. Lots of people used to ride the bus to Wheatsville last I checked. For background, the VMU ordinance was enacted as a quid-pro-quo for the McMansion ordinance – the logic was that we would build tall apartments (for Austin, anyways) over walkable retail on corridors where transit frequencies and usefulness was high. Lamar/Guadalupe definitely fit that bill, at least originally. Before the implementation of “Rapid Bus”, the #1 ran about every 13 minutes during peak periods on this route. Google maps says that the bus portion of this trip takes 8 minutes on the #1. Note that Google doesn’t even consider the 801 a viable option for this trip, unlike Capital Metro themselves. 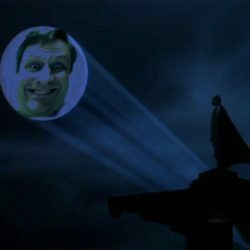 We’ll get to that in a minute. We can use the same “show up and go” calculations from this post to come up with this graph. Short summary: If transit service is to be truly useful as a replacement for the car, it needs to be frequent enough that you don’t bother to check a schedule; you just show up at the stop and a bus comes pretty soon (and by the way this was one of the big marketing points for the #801; so this isn’t just a condition I’m placing on them to be mean). 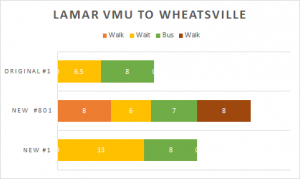 Note that the walking time on either end for the #1 trip is essentially zero – there are bus stops for the #1 (but not the #801) directly in front of the VMU building and the grocer. Originally, when frequency was every 13 minutes, a trip to the grocery store would involve a 0 minute walk, an average 6.5 minute wait (half of frequency), and a 8 minute trip on the bus, for an expected trip time of 14.5 minutes. Not bad. However, in the world we live in now, Capital Metro has cut half of the #1s and imposed instead the #801 in place of the #101, stealing the local frequency for the express. How does that service work for our apartment resident? Same calculations as above – we end up with an expected wait of 13 minutes (it runs every 26 minutes during peak)2. Total trip time is now 21 minutes, if you can get a seat on this bus, which has been a problem ever since the 801 change happened. But surely the 801 made up for this drop in service, right? 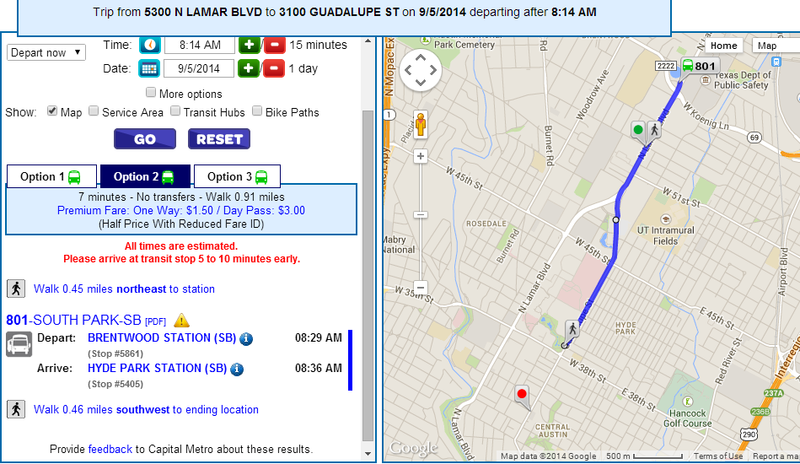 Again, Google won’t even give this as a trip; but Capital Metro’s trip planner does. Huh. Cap Metro expects the user of this ‘service’ to walk about a half mile north to the “Brentwood Station”, wait (12 minute frequencies during peak), ride the bus to the “Hyde Park Station” (7 minutes), then walk about a half mile south to Wheatsville. Hey Google, how long will those walks take? Google says 8 minutes each, roughly. So let’s graph those new trips, shall we? The results show that, and all of this is compared to the conditions before the #801 started (“old #1” in the graph), a resident of this apartment building can now either pay the same amount of money for a much less frequent service (#1) that will now take about 50% longer to get where they want to go, or they can pay double the price for a reasonably frequent service (#801) that will take more than twice as long to go where they want to go. People boarding a bus at this stop and travelling to Wheatsville have seen a significant degradation in quality of bus service. What’s the conclusion? Well, even if you are foolish enough to think a 26 minute frequency local service still qualifies as “show up and go”, the residents of this VMU and many others in the area are unquestionably much worse off after the implementation of MetroRapid. And what’s worse – the developments resulting from the VMU ordinance were sold to surrounding neighborhoods as less of an impact on their daily lives because we all assumed many of its residents would ride the bus. This is a letter I just sent to most of the City Council. I’ll try to link a few things from here, but no extra analysis – I’m really too busy at the office to be spending time on this, even.